“In 1925 four women founded the Society of Women Explorers to fill a need for an organization which would support and encourage women in their explorations. At that time, no other “explorer” organization allowed women members. These four women, Marguerite Harrison, Blair Niles, Gertrude Shelby, and Gertrude Emerson Sen, determined that “geographer” should carry a broad meaning to include such disciplines as anthropology, geology, biology, archaeology, oceanography, ecology, and even specialized aspects of the arts. Today, the Society boasts more than 600 members, yet very few people outside the organization seem to know of its existence”. Women have also made their mark as explorers in different countries of the world. It has been difficult for the female fraternity of the world to take up voyages because of the degraded status of women even in developed countries like England which continued at least until the 18th century. However, irrespective of obstacles, women explorers were numerous in number. But the information available about them in any form is very meager. The first to mention may be Isabella Bernhardt. She was born on Feb. 17 in the year 1877. She was born in Geneva, Switzerland, to an aristocratic Lutheran German mother and a Russian father. She was an explorer who lived and traveled extensively in North Africa. She died on October 21, 1904. 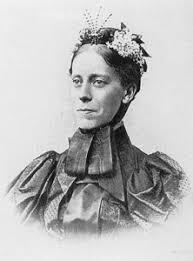 Mary Kingsley, born in 1862 was a British explorer who made two pioneering trips to West and Central Africa. She could collect any scientific specimens, including insects and fresh-water fishes. “West African Studies” was a book authored by her in the year 1899. Florence Dixie lived from 1857 to 1905. She traveled through the Andes Mountains of South America, also in Africa and many other places. She was an American explorer, writer and photographer from California in the United States of America. Her first major expedition was a three-year trip around South America with her husband. Gudridur Thorbjarnarsdottir was famous as the most traveled women of the Middle Ages. Gudridur along with Thorfinnur Karlsefni set out to lead an expedition to explore and settle in Vinland. Gertrude Bell was famous as the ‘Explorer of the Middle East’. Not much information is available about lives of phenomenal female explorers like Gertrude Bell, Alexandra David-Neel, Florence Von Sass Baker, Isabella Bird Bishop, or Annie Peck.